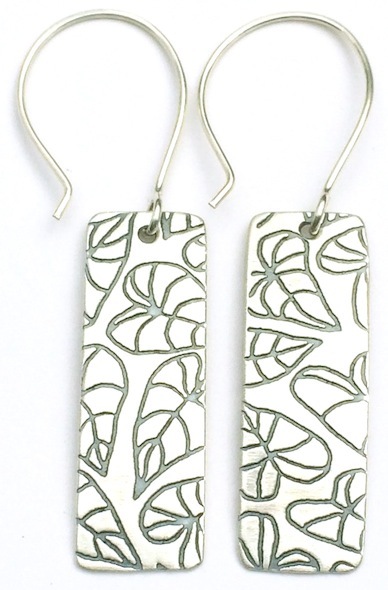 Long Kalo Earring with ""Protect this woman"
This earring is made of sterling silver. The pendent measures around 1/2" x 1 3/8". It has a disk on the back with "Protect this Woman" stamped it. It's design is inspired by kalo leaves. Long Dragonfly Earring with ""Protect this woman"
Long Mud Cloth Earring with ""Protect this woman"
Click the button below to add the Long Kalo Earring with ""Protect this woman" to your wish list.